1. Bronzing Lotion: Even during winter, I use a bronzing lotion on my legs after every shave. Not the old-school bronzer that was just for color and had problems with streaks & orangey-effect, I’m talking about the new crop of body lotions with a touch of bronzer included in their formula. I’ve tried several brands over the years and really covet the all-in-one types: moisturizing, bronzing AND firming. Usually the firming aspect of that trifecta is unnoticeable, though, and I’ve almost abandoned the idea of a topical cream actually being able to help me out in that department. 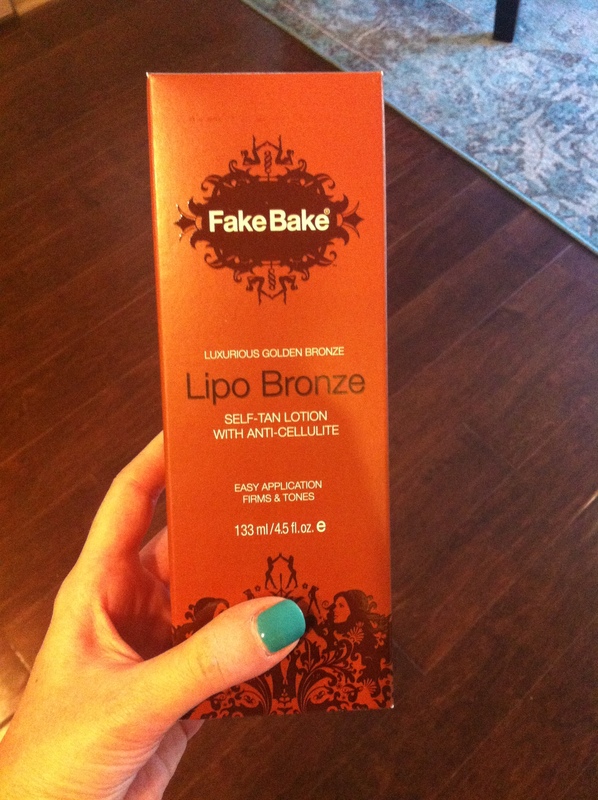 Well ladies, I’ve found one that actually works: “Lipo Bronze” by Fake Bake. Deemed a “self-tan lotion with anti-cellulite,” it promises a luxurious golden bronze & easy application, all while firming and toning. Sounds a little too good to be true, but this is actually the most effective firming cream I’ve tried…and I’ve tried a lot of ’em, honey! Lackluster to absolutely no results were seen from my experience using Jergens Natural Glow Daily Firming Moisturizer as well as both bliss fat girl slim & fat girl sleep. Now, this one’s not a miracle cream, but I was pleasantly surprised when my application of Lipo Bronze served up just enough of a result to step out in confidence in shorts at the first sign of summer. I’ve gotten to where I have to put it on any day I’m wearing shorts or a bathing suit. Not only does it moisturize adequately (not too much, but just enough), carry a nice color to it, but it actually reduces the appearance of my cellulite! –Seriously. It’s an effective, awesome product that actually does what it says it’ll do — y’all gotta try it! 2. New arm candy: This year, my husband was out of town on business over my birthday so he graciously agreed to fly my Mother into Austin to celebrate with me in his place. Us two girls had a fun time running around the city together: a pre-birthday celebration at Fleming’s, a surprise invite to a fabulous 4-course dinner & Republic Tequila tasting at Cantina Laredo, a stop by the Kendra Scott flagship store for their regular Wednesday evening “Girl’s Night Out,” and more. Mother loved KS and not only let me pick out a piece from the new Atlantic Collection as my birthday present, but she found a pair of earrings for herself, too! (Btw, I take such delight in introducing our out of town guests to Kendra Scott jewels…they are immediately hooked, usually buy a small starter piece on the spot & then find themselves wanting to add more to their collection not even a week after they’ve left! Since her visit, Mother’s already made it out to the Rice Village location in Houston for a necklace to match her earrings.) 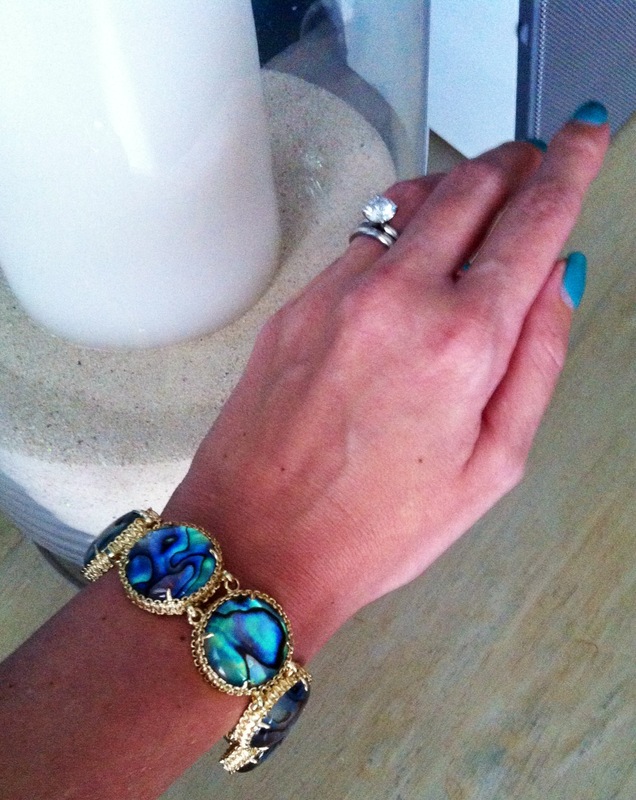 Anyway, I chose a beautiful bracelet –the Ailee Bracelet-– in Abalone as my 32nd birthday gift. I went with this style because I have small wrists and most of her bracelets fall right off my hand –it’s tough, too, because I’m a bracelet girl– so when I found one that fit, I pounced! Plus, all those natural varietal hues in the abalone shell made me feel like this will be a piece that can go with many MANY colors & styles in my closet. The stones in this collection are supposed to “radiate the beauty of the sea” and with all that the ocean means to my family, it’s just so perfect. 3. A little something indulgent: Last week I received a fresh summer trim from my favorite “hair doctor,” Juan at Ron King Salon. He’s so fabulous and his color artistry created a loyal client out of me. (More on his amazing balayage to come!) His well-educated advice and attentive care toward my mane inspired me to treat myself further so I asked him to recommend a single ‘holy grail’ hair product for me to take home. I’m so tired of having a shelf full of mediocre hair products, so I picked his brain on a must-have product suggestion. 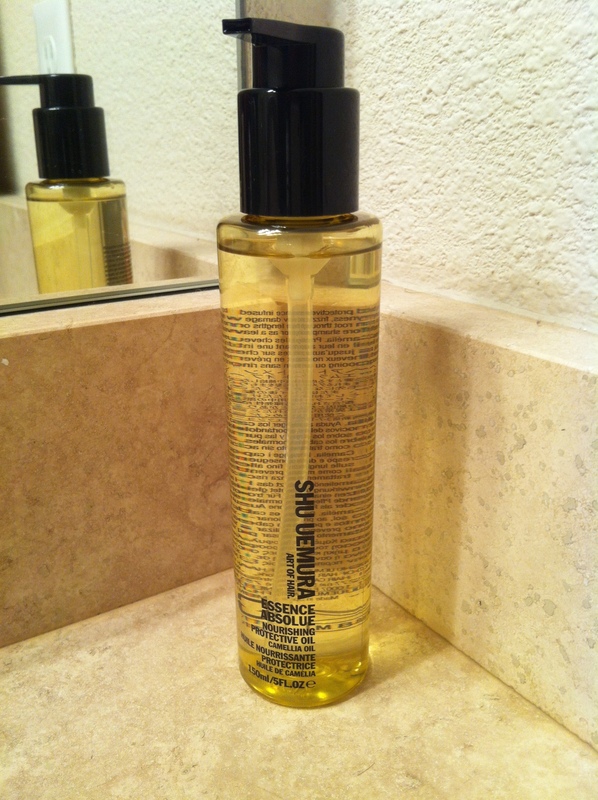 His immediate answer: Shu Uemura’s Essence Absolue. I’ll admit, the price tag was a little hard to shallow…the product cost more than the haircut! But, I was out of Moroccan Oil, was feeling a little indulgent, and figured that one pricey product that’s actually nourishing & effective is worth three or four of those so-so hair elixirs currently collecting dust in my cabinet. Speaking of Moroccan Oil, I’ve used it regularly for a couple years now but found myself looking for something new & was considering one of those new “dry” oils popping up in stores. Essence Absolue is actually made of Camellia Oil, providing such a light finish that absorbs right away. After a week of use, I absolutely love it, apply it on both wet & dry hair, and can really see a difference after I put it in. It stays out on my bathroom counter, too — I kinda just like to look at it…it reminds me to feel good that I allowed myself to invest in something of the highest quality. Sometimes I get a little buyers remorse after spending so much on a beauty product, but with this one I feel no guilt…nothing but indulgent affirmation.